Pallet pricing is available on this product. More details HERE. Our Hygiene Rolls are a popular product for use in medical, healthcare and beauty environments and are ideal for lining couches to offer additional hygiene protection and comfort. 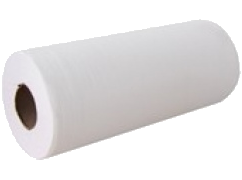 Each roll is individually wrapped for cleanliness and perforated for ease of use. This product is also available to buy by the pallet for high usage customers. Please see our pallet prices for details.